As an internet advertising agency, we at Local Blitz help our clients to generate ideas, plan and roll out online advertising and promotions. We help our clients identify the purpose and specific goal of every campaign. Like other online marketing companies for small business, we offer custom services to fit the needs and marketing budget of each of our clients. At Local Blitz, we take the time to understand your business, your customers and your goals. We research to assess our clients' current strategies, strengths and weaknesses. Due diligence is extremely important in producing each client's needs assessment. We strive to understand your brand's level of recognition in your target market, as well as your market share relative to your competitors. Ask us for your Needs Assessment, and learn what Local Blitz can do as your Internet Advertising Agency. We teach our clients about search advertising, and how to benefit from paid search rankings. Our SEO experts help our clients boost their website in search results in organic, unpaid search results. The higher a page ranks in search results, the more likely people are to see and click. We recommend best platforms, build out sleek, professional, mobile-optimized websites for our clients. We help our clients to optimize sites for organic search result rankings by writing keyword-focused material for pages. We plan and craft targeted, goal-based email marketing campaigns. Email should be targeted to a narrow audience, and the content of the messages will have high open and click-though rates if it aligns with your customers' needs and interests. We help our clients increase social media awareness and interaction across a variety of platforms. Our experts at Local Blitz know which platforms can best reach which audiences. Whether the goal is to push website traffic, boost sales or expand subscriber lists, we craft targeted campaigns to obtain and track measureable results. Content is an expression of brand personality and brand values. We ensure that our clients populate their social media with content that offers an opportunity to connect and communicate with customers. In San DIego and across the country, small and medium sized businesses trust Local Blitz as their internet advertising agency. Want to find out what a custom internet advertising strategy can do for your business? 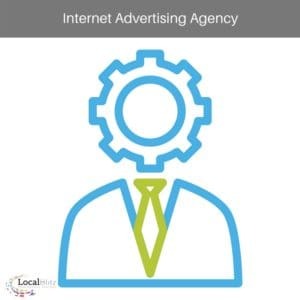 Need an Internet Adverting Agency?